IMAGINE an emergency room packed to the brim with patients in need of immediate medical attention. There are gunshot victims bleeding out on the floor, there are people with broken bones and asthmatics gasping for breath waiting in line. Now imagine that the doctor on duty ignores all these patients, and instead, decides to treat a hypochondriac for a runny nose. What sort of action would we demand be taken against such a doctor? Now hear this: there is a museum in Lahore called, unimaginatively enough, the Lahore Museum. Outside this museum was a rather demonic looking and frankly ugly 20-foot-tall statue. This drew the ire of an individual who felt that this “sculpture of Satan” was frightening children and also had “nothing to do with our culture”. Not content with ranting on Facebook like the rest of us, she went and filed a petition in the Lahore High Court. This petition was taken up by a high court bench which issued notices to the Punjab chief secretary and the Lahore Museum director, and the petitioner was even thanked for her efforts by the learned judge. The petition was entertained even though there are a trifling 1.8 million cases pending in Pakistan’s courts (8,539 cases pending with the Supreme Court, 293,947 with the five high courts and 1,869,886 cases with the subordinate judiciary of the four provinces and the federal capital) and it is surprising that instead of reducing the case load pending in courts, notices were issued on a frivolous petition regarding a questionably artistic statue. The courts must be treated as nothing less than an essential service. 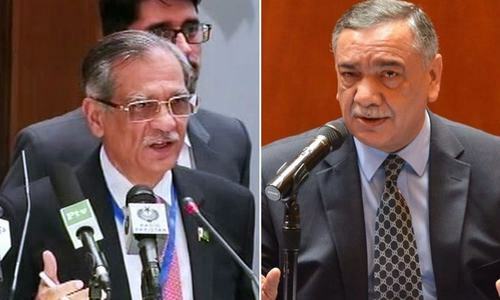 Ironically enough, the high court issued these notices on the same day that Chief Justice Asif Khosa took oath with a pledge to build “a dam against undue and unnecessary delays in judicial determination of cases, a dam against frivolous litigation and a dam against fake witnesses and false testimonies”. To be fair, some infamous ‘serial petitioners’ have been fined and even barred from court premises but damming this flood of frivolity will be no easy task. And there are other challenges as well: consider that for close to a month lawyers have been on strike in the local courts of Islamabad, calling for the rotation of lower court judges but also protesting against the demolishing of the illegal chambers they had built in front of the courtroom. Incensed by the demolition, they had the audacity to blockade 20 judges in their courtrooms, effectively holding them hostage. But now I’m pleased to report that the lawyers have relented and will only observe a strike every Tuesday and Friday. This means that lucky litigants may just get their cases heard three days a week. This conduct — and the fact that no action was taken against these miscreants — exemplifies the judicial drift that began with chief justice Iftikhar Chaudhry and reached what we hope is its zenith during the term of Saqib Nisar. Overly fond of well-planned and widely telecast ‘surprise’ raids, the former chief justice was often criticised (albeit carefully for fear of inviting contempt charges) for his seeming unwillingness to treat his own fraternity the way he would treat, say, doctors at a hospital he raided. Perhaps it was in response to this that he showed up at a Larkana court, slamming a judge’s mobile phone on the desk in a very public display of anger. But this too, like so much else, was just sound and fury — a made-for-TV presentation that lasted as long as the average news ticker does. Can any chief justice afford to bell this particularly vicious cat? 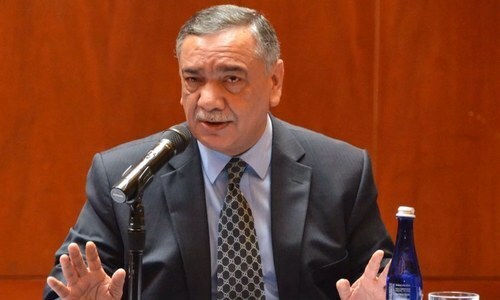 Justice Khosa certainly does seem to understand the magnitude of the task he is faced with, and has commented that in the case of the Islamabad strikes, “It is the lawyers that have stopped working; judges [in the district sessions courts of Islamabad] are sitting there waiting for people to come to them so that they dispense justice”. But while a month-long strike will certainly attract attention, the fact is that courts are frequently suspended simply due to the death of a lawyer or judge. In a country where justice is a scarce commodity, where litigants sometimes wait decades for the resolution of a simple case, this is nothing short of criminal neglect. The courts must be treated as nothing less than an essential service and if the former chief justice could rage against doctors going on strike, certainly he could have spared a word or two for lawyers doing the same whenever the fancy takes them. 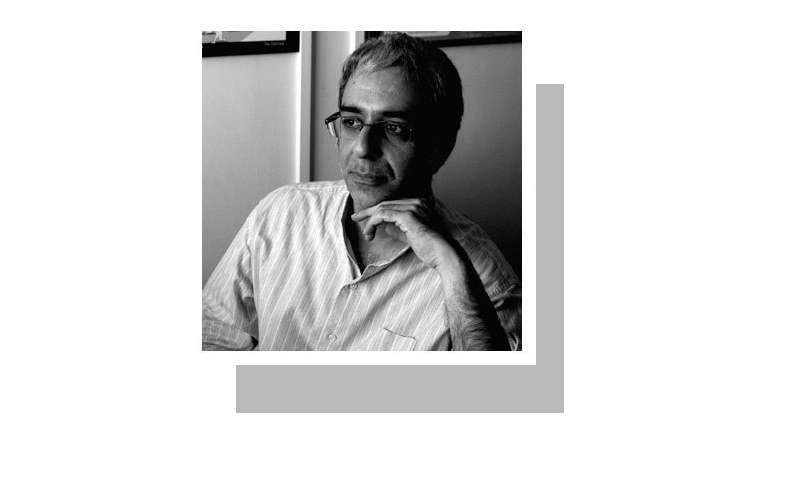 It has been an unfortunate hallmark of Pakistani polity that we, whether as individuals or institutions, have an aversion to setting our own house in order before poking around in the neighbours’ yard. Or perhaps we do so because we are unable to set our own house in order. One hopes the incoming chief justice will buck this trend. What is in it for him to take on this monstrous job? Why not ask the government whose job it is and whose party name means movement for justice. Now, nobody would accuse THIS man of being a Modi troll. Our country is the world capital of frivolous petitions. It is great to be #1 at something. Great Article. All of your points are true for India except that Chief Justice or other judges in India do not look for self promoting publicity. The lawyers are equally horrible and pending cases even more. Little hope to walk the talk. Judiciary should put its house in order first. Our weak CJS is a main obstruction in dispensing timely justice. Without competent judiciary, our justice system would not repair. a nice summary of the obvious legal mafia, and its desire to rule the judicial system. randomly suspend one striking lawyer each week until they return to work full time. Excellent article. Totally agree with everything but will still give credit to last CJP for highlighting many important issues in his tenure. Correct to the core I like your analysis Zarar Sb thanks. Didn’t mention the Multan incident where lawyers ransacked the government property and ex CJ went their and showed solidarity with them, is this is called judicial activism? I partially agree with the writer. We are still ruled by doctrine of necessity. The only reason is that government in general has performance issues and it requires interference of some external power to make things work. In recent Sahiwal incident for example everyone is recalling the good old times of Justice Saqib Nisar. In mass public opinion that reached me Saqib Nisar judicial activism acted as a blockade against such extra judicial killings. I agree he did it at cost of time that must be given to pending cases but if it ensured and guaranteed life and safety for common person it was worth it. You have touched upon a vital subject. The legal system has to be overhauled on an emergency basis. The PTI government is supposed to focus on this issue as they have always highlighted it . Unfortunately this government so far has been a dissapointment. The writer does a good job pointing out the strange behavior of judges and the courts. The fact should not be forgotten that the courts have helped remove elected officials and supported dictators - so all such high praise for the courts are not deserved at all. Well written and balanced article. The writer should have mentioned the long summer vacation taken by judges every year (June-August). This was necessary when we had British judges and air-conditioning was not available. This is one reason why we have such a huge backlog of pending cases. @tuk, if you are talking about the writer of this article then it is his job to inform people of the truth and job well done. The whole society is being taken over by different mafias in different fields. In their own spheres of influence, these mafias don't let any sane voice to be heard or to let any meaningful change to be brought into. Previous CJ was a case in point. When one would point to the mafia in legal fraternity, he would conveniently divert the attention to Dam fund / hospitals not working and similar shenanigans. Hope the new one can stand up to the challenge. The best article I have read in years in Pakistani newspapers.Well done. Hope it makes the difference. Damming this flood of frivolity will be no easy task. Neither will be stopping the multiple appeals process. 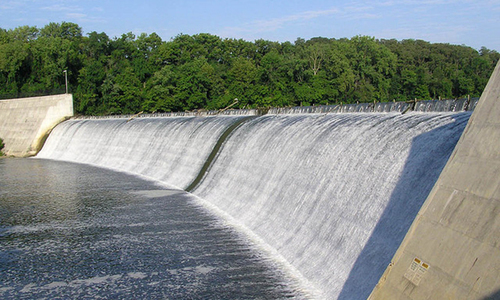 Functions of the essential organs of government system have been well defined in the constitution of Pakistan. Unfortunately, due to whatever reasons, nobility of the noble profession like that of lawyers looks to be revolting to the sense of discipline, dignity, and elegance. There is no dearth of wizards, critics, or intellectuals in this country to find faults instead of finding solutions. These days the most money making business is that of layers; especially the 'big' ones. The pending cases counted by this learned writer are mostly because of lawyers who so easily get adjournments/delaying tactics, and also the staff of the department of justice conniving with them. The slogan is: "Be busy, do nothing". Mr Khuhro has spoken my mouth out. Excellent article. But like all other important points, this would also require regularly and relentless follow-up from our media men. Solution for the problem is simple, if some one willing to solve it. "Compulsory national service for graduate medical doctors" for three to five years. ( if some one completes his/her five years service he/she will have right to get permanent position on return to homeland. Far too many uncalled for sun moto cases. The criticism would be justified if we could have the following information available: 1) what was the backlog of number of cases pending when the last incumbent before the present chief took over and what was the number of cases he left for the new incumbent? What was the number of cases disposed off during his tenure of office? How much holidays he and his fellow judges took during his tenure as the chief? How many suo-motu cases were taken up by him and how many did he leave for the present team? What benefits, if any, did the people get for the suo-motu actions which he took? What losses, if any, were suffered by the people due to the above actions? The answers to the above should provide us with how the last incumbent of the highest seat of judiciary tried his powers for or against the people of the country and whether they benefited anything or lose from his initiatives. It should be made compulsory to stick to ones duty’s no more camel rides in Desert.Very well said. Very nice article to highlight such priorities where need improvement. I would like to add more that there is also one government institution in Karachi, its name is Sindh nursing board Karachi. Students examinations are being delayed every year and students have to wait for years to appear in an exam without solid reasons. Moreover,those who have passed exams 2 or 3 years before their diplomas have not issued yet.there is no one takes responsibility. No one in the history of Pakistan has ever accomplished what he has claimed to achieve. I am not very optimistic keeping in view the bitter realities of the crowded courts of our country. The policy will rather be used by the brother judges to expedite the cases that involves the property interests of their own brother judges. I hope he introduces the open court accountability of judges from civil judge to chief justice of SC. i hope he introduces access to information to those files that contains corruption allegations against judges. These files catches the dust till the judge retires. Judiciary is the only institution in our country that has not been made accountable for their decisions. Their decisions have protected dictators and corrupt politicians and yet no one has questioned them yet. There is no external and internal check and balance system or accountability system in the institution. In the absence of judicial accountability these claims will appear hollow. Mr.khuro well described the priorities and responsibilities of an justices provider though there is enough mistakes in our judicial system and needs to be correction. But this is not mean that, you ignore the hardworks that he did on providing easy justices to common people.yes, before taking notice the courts must check the importance of case and must not waste their time on useless and meaningless case which has less importance. If doctors can go on strike, so can everybody else i suppose. We should either outlaw strike under any circumstance or put with up the nuisance.